Download Festival 2018 is the heavy music gift that keeps on giving and just in time for Easter, we have a real treat in the form of a whopping 21 new bands slotting into this year’s line-up. This year’s packed line-up now includes crowd pleasers such as Andrew W.K., Avatar, CKY and Bad Religion. Fans of theatricality, timeless punk and any excuse to have a party need look no further than Donington Park this summer. Undisputed president of party Andrew W.K. makes a triumphant return to the hallowed Donington after his last appearance in 2016 alongside fellow alumni Avatar, now firm favourites across the many international editions of the Download franchise. Skate legends CKY also arrive to make their mark 7 years since their last stint opening the main stage. Having only appeared once before at 2014’s event, LA punk icons Bad Religion will headline the Avalanche Stage. Alongside these names, this year’s line-up now includes: A, Anchor Lane, Bad Cop / Bad Cop, Being As An Ocean, Black Foxxes, Cellar Darling, Culture Abuse, Ded, Ecca Vandal, Hell is for Heroes, Helpless, Igorrr, Kaiser Franz Josef, Lawnmower Deth, Loathe, Nothing More and Starcrawler. After the success of WWE NXT LIVE! 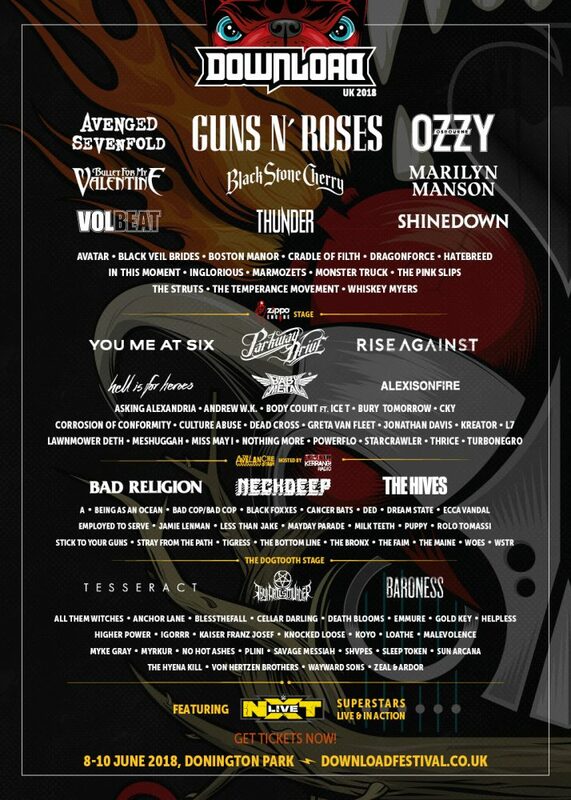 at Donington for the last two years, Download have also announced the return of the wrestling superstars to the bill. 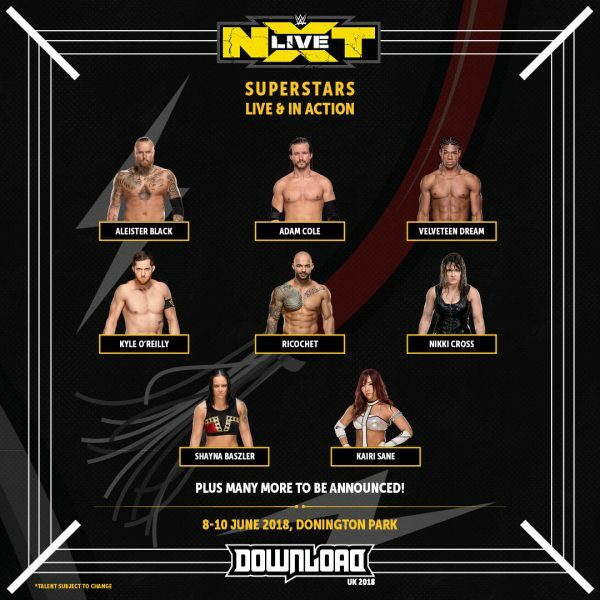 Over the weekend, WWE talent such as Aleister Black, Adam Cole, Velveteen Dream, Ricochet, Nikki Cross, Shayna Baszler, Kairi Sane and The Undisputed ERA will bring their show-stopping entertainment to the Download arena for an authentic, exclusive WWE experience. This fantastic sandwich of bands and entertainment join the already stellar line-up of headliners Avenged Sevenfold, Guns ‘n’ Roses and Ozzy Osbourne from 8th-10th June. If you haven’t grabbed your ticket just yet, you can find all the options on the official festival ticket provider site here. RIP camping and campervan tickets are now sold out, however. While the roster of NXT stars making an appearance this year is subject to change, we don’t expect this to be the last announcement of bands to join the bill, so keep your eyes peeled here at Rock Sins for more news.